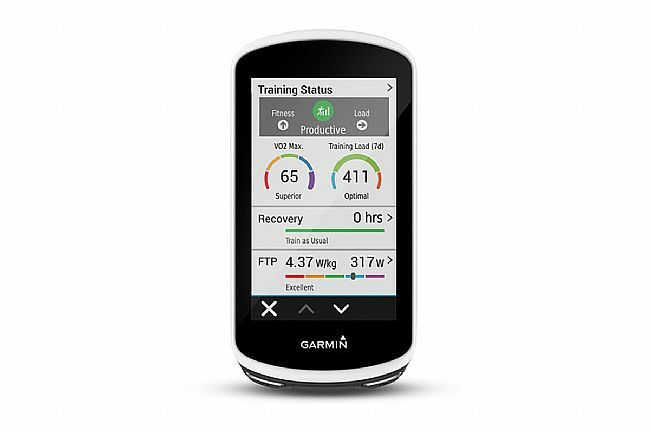 The Edge 1030 Bundle from Garmin is equipped with the new Edge 1030 cycling computer, a high quality heart rate monitor, a speed sensor, and a cadence sensor. 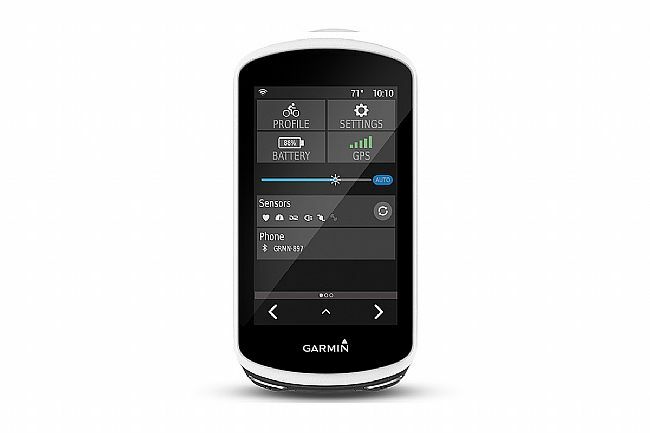 The Edge 1030 includes all of the advanced features Garmin users have come to expect such as smart connectivity (including notifications) with compatible smartphones, cycling and power dynamics (with compatible power meters), GPS/GLONASS and an altimeter for precise tracking, and Connect IQ™, to name a few, as well as a selection of new features that take training and racing to the next level. 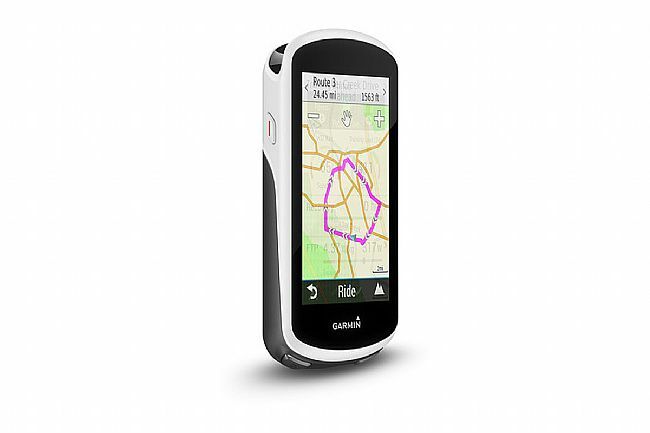 In addition to a larger, 3.5-inch screen and a longer lasting battery (up to 20 hours or 40+ hours with an extended battery pack), the Edge 1030 introduces its users to Trendline™, a route finding tool that identifies the most popular on- and off-road routes in any given geographical area based on Garmin Connect ride data. Another new feature of the Edge 1030 is rider-to-rider messaging, a safer alternative to texting while riding. 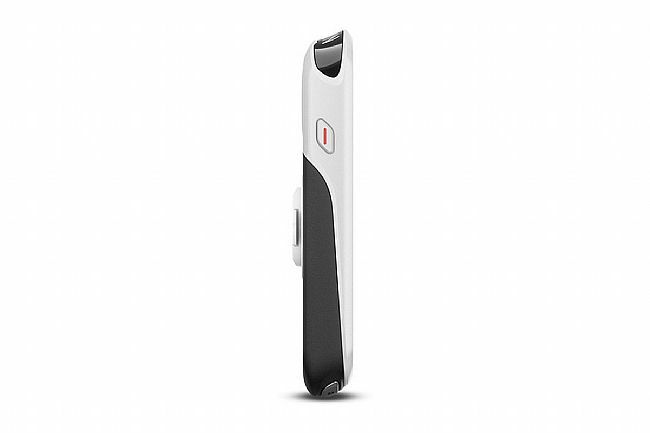 Instead of unsteadily texting from a cell phone, rider-to-rider messaging allows “texting” pre-set messages through the Edge 1030 device to other Edge devices. Along with these new, convenient features, the Edge 1030 offers a new In-line Flush Mount that aligns the Edge with the bars for an integrated, sleek look. 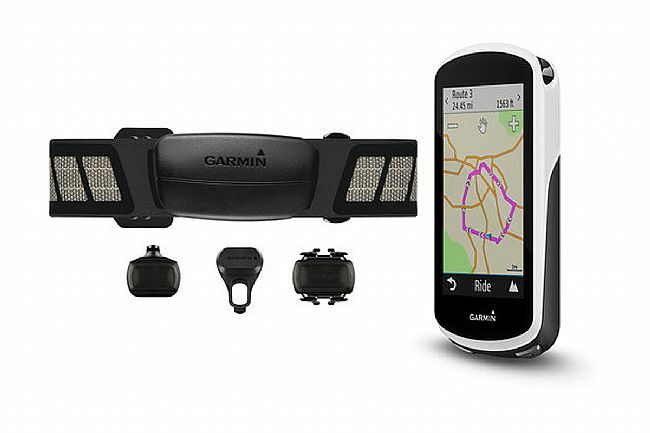 The Edge 1030 Bundle includes Garmin's speed sensor, cadence sensor, and a high quality heart rate monitor. The individual Edge 1030 computer and basic accessories is available separately. Two mounts (Standard; Extended out-front). Up to 20 hrs of battery life (or 44 hrs w/ extended battery pack). Smart connectivity (w/ compatible smartphone). Cycling/power dynamics (w/ Vector™ power meter). Preloaded Strava Routes CIQ App. Preloaded Training Peaks CIQ App. Dimensions: 2.3” x 4.5” x 0.8” (5.8 x 11.4 x 1.9cm). Box Dimensions: 5.5” x 5.5” x 2.7” (13.9 x 13.9 x 6.9cm). Buyer beware. I returned this item. I ride year round in Portland, OR which means long fingered gloves at least a third of the year. This computer does NOT work with long fingered gloves. Sure, maybe I could get gloves with the special fingertips but I already have a variety of gloves at my disposal. And my Garmin 800 works quite well with any of my gloves. So once I found this out, I immediately stopped trying to set the unit up with my preferences and reset it back to original settings. Yes I was very disappointed! But my 800 works well and my old 705 still works well. The 705 has buttons! This is my 3rd edge in the past 8 years. I had the 810 last, for about 5 years and had minor problems with it, mainly operator error. The 1030 is easier for this computer idiot to navigate the system on and set up the sensors. Using STRAVA courses on this one is even a breeze that is opening new doors for me. Very happy with the product. Easy to load routes and track rides with a whole bunch of metrics if you want. So phone mapping with apps is always getting better, but this is good to have a dedicated device that can sync with all your sensors, is waterproof, and actually works well in the rain using the touchscreen. Uploading routes to the device is super easy and with the bluetooth and wifi network, automatically syncing your activity when you are done is a breeze. It's also nice that you can map a ride say with RidewithGPS that focuses on bike routes and then upload that to the device and it will give you turn by turn directions. The color screen is good and being able to zoom in and out is super handy if you miss a turn. There are a variety of handlebar and stem mounts and I had to get three different ones because each bike has a slightly different handlebar. 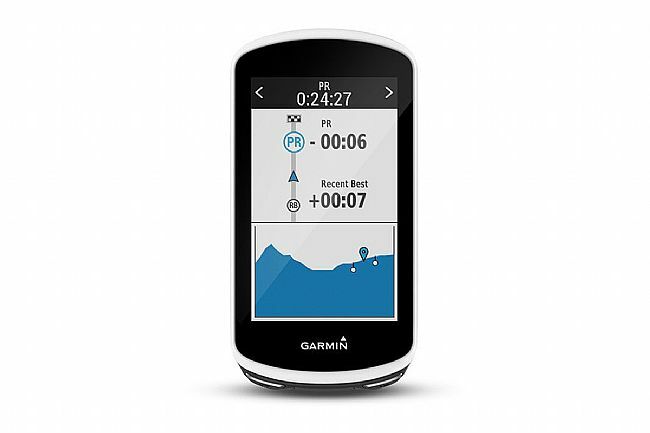 I do think it's a bit on the expensive side, but going from a phone to this with the garmin sensors, bluetooth, wifi, turn by turn directions, and stable gps signal, it's nice to have a device that's simple to use and if you want to gather more metrics, it will do it for you. The Edge 1030 has worked well so far and I've not had any issues with it. Buttons on the bottom are easy to reach on the provided mount and were also reachable on my old SRAM out from mount I used for the 510. The screen is much clearer in daylight than the 510 although it is a bit duller when dark & it is using the backlight. Battery life is good - it goes through 6-7 % per hour while navigating, around 5 % per hour while not navigating. Coming from a 510, I noticed the GPS is slightly more accurate (9 ft compared to 16ft). I've not seen that mentioned in reviews. Giving 4 stars because I agree with the other review, swiping left and right between screens is not reliable. I've also had a few issues getting it to pair with sensors (ANT Speed, cadence, heart rate) when turning on. Usually that is resolved by navigating to the sensor and telling it to connect although I've had to repair a couple of times so far. Not an improvement of the Edge 1000, actually a step back (In my opinion). One of the improvements was to be the touch screen and it supposedly works great when it's wet. I guess it's great that it works so well when the screen is wet. I live in Arizona and it rarely rains and even if it did, I wouldn't ride in the rain. Anyway, paging between data screens is terrible. I almost have to beg it to work. I've tried the different sensitivity settings and that makes littleno difference. I wish I would have kept my 1000. Not a total waste though, maybe I'll pay more attention to the road than my computer now. I am an enthusiast cyclist with access to several trails near my home and it really gives me good insight from other riders, It also gives me alternate routes off the trails which is great. Great deal on a gret product. The amount of information and navigation available is unbelievable. And I thought the Edge 1000 was great. Aside from a little larger display, the Edge 1030 is also faster at locking into satellites. It also seems to work in areas where the Edge 1000 did not receive a signal. Two features that I really like are the emergency alert feature, that will text a contact of your choice, with your location, should you need assistance. The second feature that I found, but don't ask me how I found it, is the alert system that beeps when you approach a sharp curve or bend in the road.